Décembre 2018: Mes articles sur ce site date de 2013! Je les ai tout de même laissés, ils ont peut-être encore une utilité. 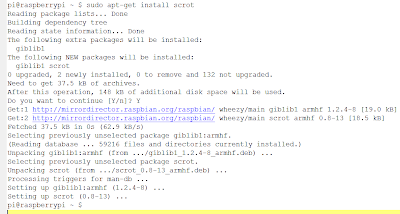 After we have created our first SD card, booted it and run the setup procudure, we had the need to install the necessary software to make screenshots on the Raspberry Pi itself and to transfer them on a PC for documenting correctly our blog articles here! A Linux tool on our LXDE desktop environment to make screenshots and why not scrot! 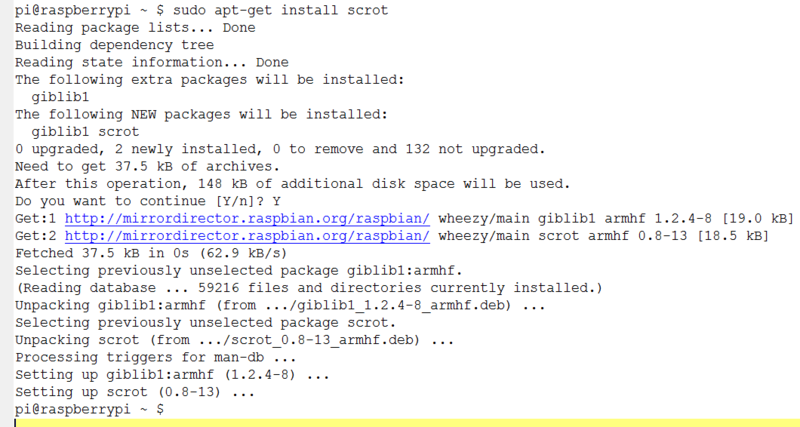 We can use either the terminal console on the Raspberry Pi or the Windows putty. scrot for immediate snapshot or with scrot -d 5 for instance after a 5 seconds delay usefull for rearranging or closing some wimdows. The png file is available in the form 2013-...._1360x768_scrot.png which could be transfered to a Windows PC with WinScp.